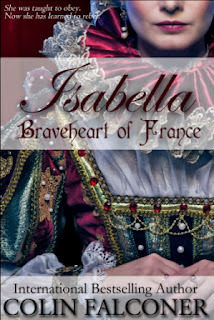 HF BOOK MUSE- NEWS: ISABELLA Braveheart of France- Giveaway + Review! ISABELLA Braveheart of France- Giveaway + Review! Isabella was the daughter of one of the most powerful French kings in history, Philip lV. She adored her father for not only being a rightful and strong ruler, but also for having truly loved her mother. Surrounded by the example of supreme governance and what it takes to be powerful and respected by your people, left an impressionable mark on the young Isabella. By the time she was sent off to England to marry Edward, she was (even if not physically, but certainly mentally), a very grown up 12 year-old. Putting up with Pier, Edward's love of his life, was only the beginning. Isabella managed to live through this and abide to the obedience demanded of queens to their kings. She even succeeded in winning some of Edward's tenderness along the way by giving consul when necessary. Isabella and Edward's relationship could have survived if that was all. But more than his flaky and bad-judgement relationships with his 'favourites', it was Edward's poor ruling that finally got to Isabella. When Isabella matured into her own woman she did take matters into her own hands (and in my opinion, what other choice did she have when her own weak husband clearly was nothing of what she expected a ruler to be- bringing England to its own demise?). Her own reigning capabilities, notable diplomatic skills and the abominable Hugh Dispenser, are what finally brought Isabella to decidedly forge her mark. Cool, calm and collected, with reason being her best ally, Isabella did not stay put to be remembered as a lonely figure forever. What an intriguing story! Ironic in how it turns out- Isabella out smarts them all! Known as a she-devil, call her what you want- I dare say this could not be farther from the truth! History hates it when strong women rise to the top; fortunately we have great authors that can convey empathy and the other side of the story (from the heroine's side!). Thank you Colin Falconer. So how does Isabella fare with me now? Am I enchanted? I'm glad to say that I had a gut feeling there was more to Isabella than the bad-repute she got. I'll file this queen in the same brainy- league as Eleanor, Cleo and Elizabeth; all women history loves to hate. I'm enchanted indeed! For EXTRA CHANCES: Post to as many other social sites and come back to post your link in the comments. I have been fascinated by Isabella and her life and would love to read this book! I'm fascinated by this era, and although I don't consider myself a fan of Isabella, I would love to read this book. Thanks for the giveaway. Maybe this novel will change my thinking about her. Sounds like a great novel! I haven't read anything about Isabella or her father and really have a weak base in French history so this book will teach me a thing or two :) Thanks for the giveaway! Elisabeth Storrs' Golden Dice- Weekend Event! THE CONFESSIONS OF MARIE ANTOINETTE! Live CHAT with Raymond Khoury! 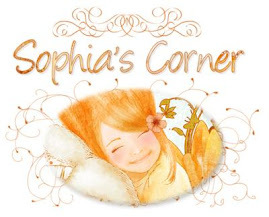 Author Lisa Yarde- Guestpost +Giveaway! !